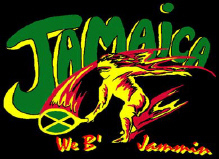 Jamaica National Racquetball Team began official international competition in 1996 and after four appearances at the World Championships, the team emerged as one of the top 15 teams in the world! The 1996 World Championships was held in Arizona in August and promised to highlight the best athletes from the around the world in the sport of Racquetball... however, they’ll have to adjust to the new kids in town. Jamaica has always been known for it’s excellence in sugar canes, vacation hot spots and it’s athletes. And now, those fun loving, calypso dancing, hand clapping Caribbean based lifeforms are bringing a whole new dimension to this high speed game of strategy, strength and raw power. Following on the heals of the Jamaican Bobsled Team, the team enjoyed coming into this sport as an underdog.